The French composer of digital music known as DJ Pad has released his latest LP record album, titled, “Y.” The record contains no fewer than 14 original tracks from DJ Pad, for an approximate total listening time of one hour and 20 minutes, roughly twice as much music as a typical full-length record comprises. The popular DJ Pad, although well-known for publishing massive amounts of music at a time, has outdone himself with this latest record. It represents Pad’s having released more than 100 official tracks in the term of a single year. For his “Y” LP, DJ Pad cites Angerfist, Stunned Guys, Endymion and (“more recently”) Miss K8 as main artistic influences. Each of these fine records is in excess of an hour long and showcases the digital maestro in a different sonic character than does any of the others. Each official DJ Pad release has been proudly published on the 4000 Records independent music label, entirely without support from the corporate music industry. Pounding, thrumming, and blazing with color and creativity, “Y” by Dj Pad is perhaps the most cutting-edge collection of new material from a digital artist in recent memory. “Y” by DJ Pad is available online worldwide. 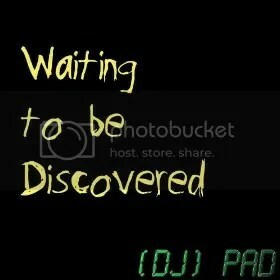 Congratulations go out from the world of electronica to DJ Pad! Writing and producing 100 songs in a single year is an achievement of titans. 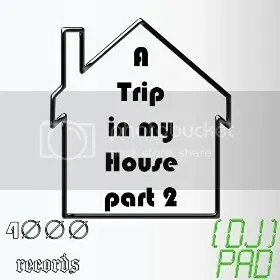 The French composer and producer of digital music called DJ Pad has released his latest LP record album, “A Trip in My House Part 2.” Like his previous material, it has been published on the 4000 Records music label. The LP is the third full-length record to be officially released from Pad in less than a single season. It is the latest in a series with which Pad has been cataloging his sonic personality with precision, efficiency, ingenuity and imagination the EDM world has perhaps never seen before. DJ Pad’s “Dubstep: First Strike” album appeared in May, boasting a whopping two-and-a-half hours of EDM, to be closely followed by “A Trip in My House Part 1” in the latter part of the same month. 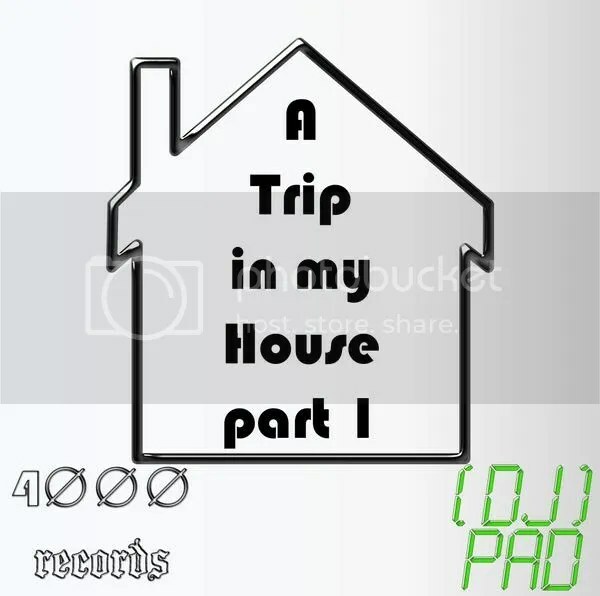 As the first installment of DJ Pad’s new series, “A Trip in My House Part 1” also came out of the box with over 150 minutes of music, meaning that the unbelievably prolific DJ Pad released approximately 60 original songs in the month of May alone. This latest edition, “A Trip in My House Part 2” has capped this achievement with yet another 30 songs, making for a grand total of seven-and-a-half-hours of excellently creative, colorful, and engaging digital music from Pad in less than twelve weeks. 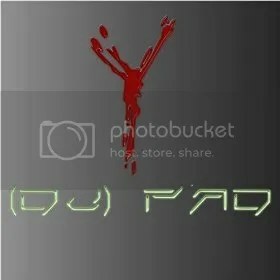 DJ Pad has cited as personal influences such artists as Afrojack, Sebastian, Swedish House Mafia, Infected Mushrooms, ATB, Cosmic Gate, Atomic Cat, as well as founding fathers of the scene such as Hanz Zimmer and Mike Oldfield. High points of interest on “A Trip in My House Part 2” include the delicate and classical, “Poizon” and the baroque-inspired “One More Kiss.” DJ Pad shows off his old-school, house music chops in “Time to Wake Up” and “Remember Me,” both of which are especially suited for playing at dance clubs at midnight anywhere in the world. “Yet Another Track,” shows what Pad can do with live, mixed and highly varied instrumentation. This proves to be quite a lot, as Pad has more than 16 years playing accordion and understands melodious interplay explicitly. DJ Pad’s official bio states that he has written and produced more than 500 songs in about 30 different genres, but focusing mostly on electro-house, trance, and dubstep. He has been making beats since late 2008. “A Trip in My House Part 2” by DJ Pad is available online worldwide. It stands as a monument to one of the most inspirational work ethics music has ever known. Europe’s DJ Pad has released his latest LP record album, “Dubstep: First Strike.” It is the most significant full-length album from DJ Pad since the release of his December 2012 LP, “Waiting to Be Discovered.” Comprised of 30 original tracks for an approximate total listening time of nearly two-and-a-half hours, “Dubstep: First Strike” represents Pad’s most comprehensive collection of songs to date, it serves as proof that DJ Pad may be the world’s most prolific dubstep artist making music today. 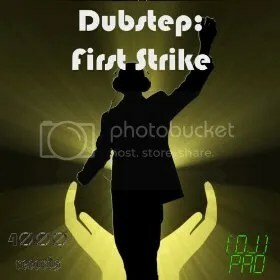 Populated with beats, grooves and melodies across the entire scale of human emotions, “Dubstep: First Strike” is the definitive DJ Pad record and one of the scene’s most vividly creative accomplishments. The French DJ and composer of electronic music comes from a broadly varied background. With more than 16 years of expertise playing accordion, his listening tastes lean more toward popular electronic musicians such as Afrojack, Sebastian, Swedish House Mafia, Infected Mushrooms, ATB, Cosmic Gate, Atomic Cat, and founding fathers of the scene such as Hanz Zimmer and Mike Oldfield. DJ Pad’s music on “Dubstep: First Strike” draws from all these tones and styles, but with even more diversity than one might expect. The French composer of digital music known as DJ Pad has released his most recent single track, titled, “4000.” The track has been independently released of support from major corporate music companies on the 4000 Records music label. Not literally a single release but rather only a single in the categorical sense, DJ Pad’s “4000” has been published with two other digital music tracks alongside, “Pride” and “Prism (Reloaded).” The trio of songs have a combined approximate total listening time of 15 minutes, longer than some EP album releases. “4000” is DJ Pad’s most significant official release since his late 2012 double LP record, “Waiting to be Discovered,” a gigantic and remarkable record which included two hours of music. It was this record which broke DJ Pad to the music listening world, and one which permanently lifted him to the status of one of France’s most imminent and creative EDM artists in recent years. 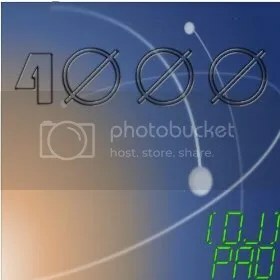 “4000” by DJ Pad, as well as his past LP records, are available online worldwide.